Macchiato. Americano. Red eye. Do you really know what any of these coffee orders mean? Since coffeehouse lingo can be confusing you'll want to be informed next time you interact with a barista. Luckily, you can learn how to order coffee like a boss by watching these nifty videos from Zagat. First up, we have a video on how to order espresso. Do note it's not pronounced ex-presso but esss-presso - this is an easy slip up that will let your barista know you don't know what you're talking about. There's a slew of espresso-based drinks you'll want to know about like the macchiato, which is espresso with a dash of milk (and not that other Starbucks drink). Finally, in case these videos haven't covered all of your burning coffee questions you can turn to this handy infographic below. 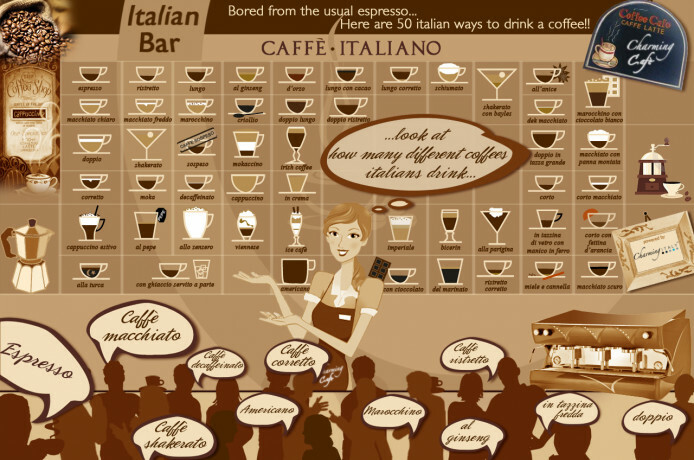 It breaks down 50 types of coffee popular in Italy. Now you'll have plenty of material to impress your local barista.